Students are emerging scholars whose work should be recognized and shared along with work created by established scholars. 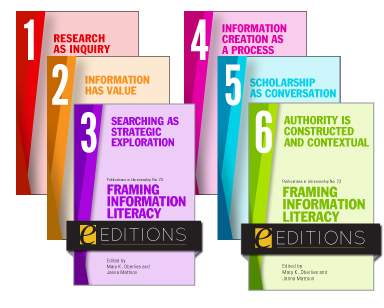 Libraries are actively engaged with student-created content and encourage students to see themselves as producers, not just consumers, of information. 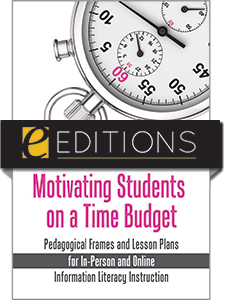 By shifting priorities, libraries should include student-created content in their spaces, and become participants in high-impact educational practices, increasing student investment in their learning, their engagement with scholarship at the institutional level, and their success and retention. These new priorities also open the library to new campus partnerships, making student scholarship and content a common goal. 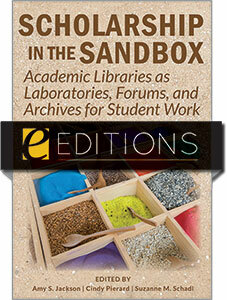 Scholarship in the Sandbox is broken into four sections—Library as Laboratory, Library as Forum, Library as Archive, and Articulating the Value of Student Work—containing case studies and discussions from diverse perspectives including students, classroom professors, academic staff, and librarians from across North America. 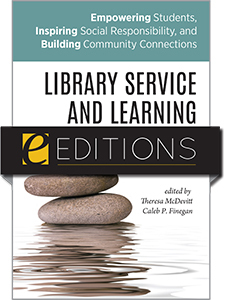 These studies address the innovative ways that libraries are actively occupying more central space on campus as practical laboratories outside of the classroom. 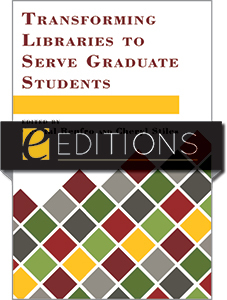 Authors describe efforts to curate student work, explore intellectual property issues, and provide tips for promoting and preserving access to this production through new programming and services that affirm libraries’ roles in intellectual processes. 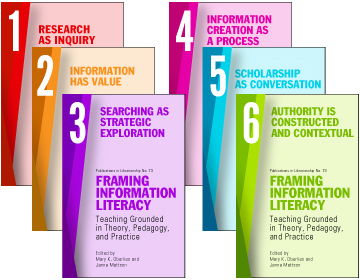 They demonstrate collective learning in a sandbox environment where the answers are far less important than the multiplicity of prospective solutions, and present several models for providing a supportive environment in which students, teaching faculty, and librarians can practice, explore, fail at, and refine their academic work through collaboration. Whether students share their scholarly production with their professors on library platforms via blogs, performances, repositories, zines, makerspaces, galleries, or spect-acting, the experience is transformative because production ties classroom learning into research and practice done outside of the classroom. 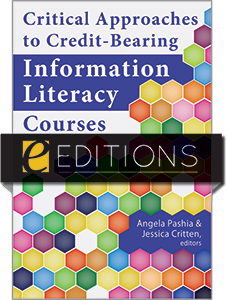 This enables students to employ their own academic or creative practices, establish stronger footholds in their disciplines, prepare for a career, and publicly display competence. Scholarship in the Sandbox provides multiple ways that the library can support experimentation, productive failure, and amazing successes outside of our traditional roles of teaching and providing access to resources. Amy S. Jackson is Director of Instruction & Outreach at the University of New Mexico, and has previously held positions of Performing Arts & Digital Arts Librarian, Digital Initiatives Librarian, and Metadata Technician. She earned a MLIS from Simmons College in Boston, MA, and a Master of Music from the Peabody Institute of the Johns Hopkins University. She has worked with students in the library and through the institutional repository, and enjoys making connections through the work students are passionate about. She advocates for non-traditional library users, including performing artists, by engaging in their process and offering library resources and spaces. Amy is also writing a book on music research data management, and has published books and articles on music data curation, music history, and metadata. Cindy Pierard is Director of Access Services & Undergraduate Engagement at the University of New Mexico, where she leads and supports a team that provides public services and collections support across UNM’s four main campus libraries. 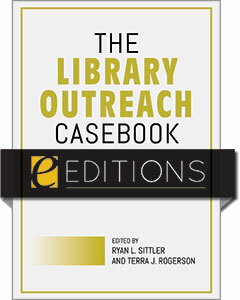 This team also works with other library and campus partners to develop and strengthen services for undergraduates. Cindy previously served as Head of Reference & Research Services at New Mexico State University and in a variety of public services positions at the University of Kansas. She holds an MLIS from Indiana University where she did additional graduate work at the IU School of Journalism. Cindy is energized by the opportunity to share student work within library spaces and has been active in developing and coordinating programs with this focus. Other current projects involve space planning and assessment, and intersections between student employment and student learning. Suzanne M. Schadl is Chief of the Hispanic Division at the Library of Congress, transitioning from a position at the University of New Mexico as Curator of Latin American collections. Working with specialized materials across disciplines, languages, and communities enables her access to intermediary spaces between differing perspectives and formats. Her work aims to bridge these differences as well as inequities in the information landscape. Suzanne earned her PhD in Latin American studies from the University of New Mexico in 2002. She has also worked as assistant professor of Latin American History at Roanoke College; visiting instructor of Latin American history at the University of Texas in Austin; Director of the Gerald and Betty Ford Library at the Bosque School and teacher of high school Literature, History, and Portuguese. Suzanne is fortunate to have co-authored works with students, while also implementing grants, internships, and exhibitions with other emerging scholars.